Using the company’s official Twitter account for its Exynos chipsets, today Samsung tweeted a promotion for the Exynos 8895 – the chipset used in the Galaxy S8 and Galaxy S8 Plus. But the phone used in the promotion was neither of these well known flagships. 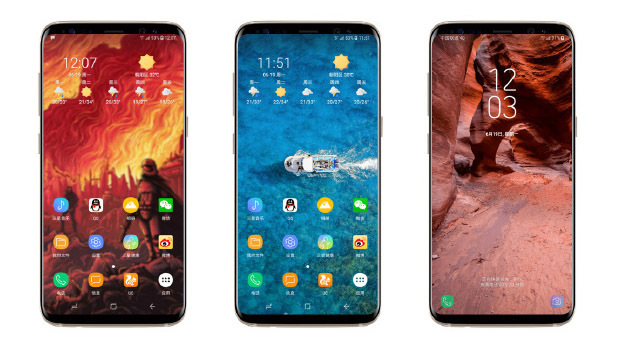 Instead Samsung gave us a good look at a new smartphone with an Infinity Display which has even smaller bezels than its two flagships. A smartphone which matches up almost exactly with the leaked renders, schematics and cases for the Galaxy Note 8 and which also features the curved edge display expected to debut for the first time this year on the Note range. Were this the Galaxy S8 or Galaxy S8 Plus or even just a generic image then Samsung would have surely have had no issue showing this part of the phone. Yes it could be a coincidence, but it would be one heck of a coincidence just a month from launch and two months before Apple’s headline grabbing (if troubled) 10th anniversary iPhone is unveiled.